This is a story about 3 Idiots (Vidhu Vinod Chopra, Rajkumar Hirani, Aamir Khan) making the original story writer (Chetan Bhagat) a stupid. This whole issue can be a very interesting subject for another story. I bet Chetan Bhagath will write his next novel based on this issue. The issue is the makers of the movie 3 Idiots have not provided a proper credit to it’s original writer Chetan Bhagath. Some people may ask how does it matter when everyone know it’s based on FPS. But the thing is it matters the most. Chetan Bhagath in his blog post A BOOK, A FILM AND THE TRUTH shared his unhappiness over the issue. Till now I saw Raj Kumar Hirani, Vidhu Vinod Chopra and Aamir khan as very creative and dignified people. But now I’ve to change my opinion. Bollywood showed how it will treat the creative and original writers. And they scream that majority of the movies are not doing well on the box office. How will you rope in and encourage writers who can give good stories if you canned give them a proper credit that they really deserve? Chetan on the other hand is a popular writer and he published the book. Who ever watch the movie can easily associate 3 Idiots with Chetan’s Five Point Someone even without any name or credit published officially. But what about those writers who are nobody in the industry? I just don’t understand what is a big deal in crediting Chetan as a original Writer or the film is based on his book. Nobody is going to kill or look down for doing so. Instead they would have been treated with love. But now they created a big mess over it and every one will look Vidhu Vinod Chopra, Raj Kumar and Aamir Khan down as villains who shoplifted somebody else's story to put their names. Chetan has clarified that Aamir Khan has nothing to do with this issue. But Aamir have a black mark in his history while making of Taare Zamin Par. This issue will definitely a another black dot for his name. At least now he should take stage and resolve the issue as soon as possible. If chethan decide not to allow his any stories to be made as a film it’s a big loss for the film industry and the people of this country. That too big people playing this kind of dirty game will show a wrong path for others. Shame on you Vidhu Vinod Chopra, Shame on you Rajkumar Hirani, Shame on you Aamir Khan. An ingenious example of humorous speech and politics occurred recently in the United Nations Assembly that made the world community smile. A representative from India began: 'Before beginning my talk I want to tell you something about Rishi Kashyap of Kashmir, after whom Kashmir is named. He removed his clothes, put them aside on the rock and entered the water. And they say Kashmir belongs to them………………………………………..
What do you think about this post. Please leave your comment here. In my earlier post about Shopping I've mentioned how Shopwiki is the Smartest way to shop online to add a diamond to it's crown shopwiki makes shopping of Collectibles and Memorabilia much easier by adding a separate section for most priceless items available on net. You can also send gifts to someone who you love by Occasion like Mother's Day, Valentine's Day etc. or Gifts by Recipient like Women, Men, Wife, Mother etc. In fact buying gift is one of the most toughest and complex process. Shopwiki makes much easier for choosing a right gift for someone special. Did you enjoy this post? Why not leave a comment below and continue the conversation, or Subscribe to Feed and get articles like this delivered automatically to your Email or feed reader. It's a great shock to hear that the King of Pop, Wako Jacko has passed away. All his fans are waiting for his series of come back live concerts starting from July 13, 2009 at London. But it's unfortunate that "This is it", "This really is it". 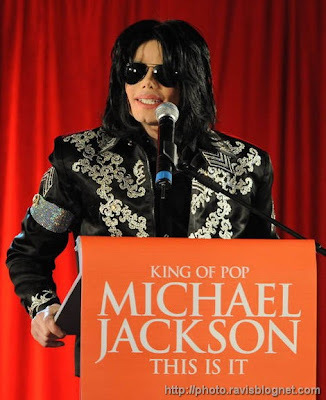 As Jackson himself stated in Press Conference that this is going to be his last show ever. But before it he rests in peace. This might be the greatest thing that his soul would have really in need. After such a long duration of performance, shows, moonwalk, marriages, controversies, lawsuits, court trials, failed plastic surgeries, prescription drugs, deep debts, high pressure, tension lifestyle, No. of diseases, fear, uncertainties everlasting list continues if you think of MJ. But finally after such high torture to his soul, it is now can take rest and live in peace. A great episode is over. But the everlasting contribution to music world, everlasting performances, moonwalk will always remain in the hearts of millions of his fans. The King of pop never dies. He lives forever in our hearts. Let his soul rest in peace. View a largest collection of Michael Jackson Photos and Image Album. 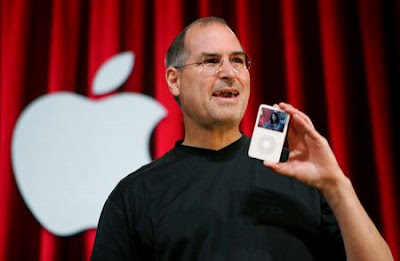 The commencement address by Steve Jobs (the founder of Apple Inc, and co-founded Pixar Animation Studios, NeXT Software Inc. ) at Stanford University is the most inspiring speeches of all time. 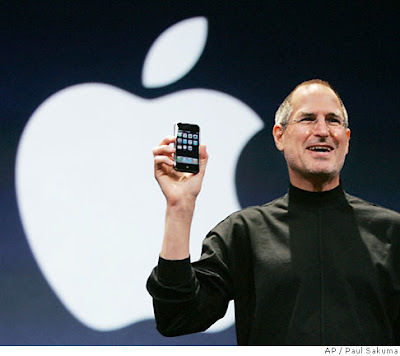 Read the Text of Steve Jobs' Commencement address (2005). 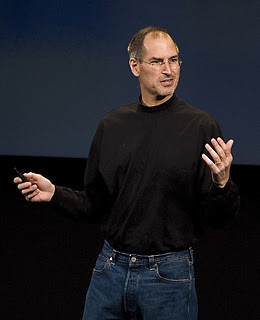 Here I'm publishing the lessons we can learn from Steve Jobs most inspiring speech. (The sentence highlighted are excerpts from his speech. For his full speech visit Stanford University website). His speech is highly influenced by the spiritual lessons that he learned from India. His overall outlook, attitude towards life is simply amazing. Lessons : This is the phase, each one of us started as. No Idea what we want to do in life. Parents use to fill that by insisting what we have to become. Doctors, Engineers (Whatever it may be). They will insist that so heavily on children that, they don’t even bother to care what actually their child wants to be, or what is his/her capability. When that dream remains as a dream, they will get disappointed quickly. So It’s better to dream of your life your life and see how you can bring that dream into reality. What you want to be in future should decide what education you have to get or what you have to study. Your education should not decide your future. "I was spending all of the money my parents had saved their entire life in college. So I decided to drop out and trust that it would all work out OK. It was pretty scary at the time, but looking back it was one of the best decisions I ever made." The toughest decisions in life is quite scary. We don’t know what happens in future, Whatever happens, it happens for the sake of goodness. So believe in yourself and god. I slept on the floor in friends' rooms, I returned coke bottles for the 5¢ deposits to buy food with, and I would walk the 7 miles across town every Sunday night to get one good meal a week at the Hare Krishna temple. I loved it. Difficulties comes to you with a purpose, accept it, face it. It will shape your future. Much of what I stumbled into by following my curiosity and intuition turned out to be priceless later on. Create a curiosity towards life, nature and your surroundings. It will keep you going till the end. There are lot of people, whose interests turned them to be celebrities. There are lot of things on this earth, the whole life is not enough to know about everything. But at least you can learn whichever is seems feasible to you. He gives an example of his calligraphy course, and how it helped him later. Reed College at that time offered perhaps the best calligraphy instruction in the country. Because I had dropped out and didn't have to take the normal classes, I decided to take a calligraphy class to learn how to do this. I learned about serif and san serif typefaces, about varying the amount of space between different letter combination, about what makes great typography great. It was beautiful, historical, artistically subtle in a way that science can't capture, and I found it fascinating. We can’t predict the things about the future. God gives you his best when you don’t ask for anything. Be ready grab whatever comes to your way. If you find anything interesting and feel you are passionate about that, continue doing that even more passionately. One or the other it is going to help you in future. it was impossible to connect the dots looking forward when I was in college. But it was very, very clear looking backwards ten years later. "you can't connect the dots looking forward; you can only connect them looking backwards. So you have to trust that the dots will somehow connect in your future. You have to trust in something — your gut, destiny, life, karma, whatever. This approach has never let me down, and it has made all the difference in my life". Again a famous quote from Bhagavad-Gita, whatever happens, it happens for goodness. Believe it, there is a purpose for everything in life. As we look into it very closely, we are not able to make any sense out of that. But later when we can see the bigger picture, everything makes sense. Lord Krishna says in Bhagavad-Gita, It’s responsibility to do the work sincerely without thinking of it’s fruits or results. Just do the best and leave the rest to me. That’s most important in life. Find out what you love to do as early as possible, otherwise you will be forced to love whatever you do. I got fired. I really didn't know what to do for a few months. I was a very public failure, and I even thought about running away from the valley. I had been rejected, but I was still in love. And so I decided to start over. Never accept failure. Start over again. Try try try till you die. During the next five years, I started a company named NeXT, another company named Pixar. Pixar went on to create the worlds first computer animated feature film, Toy Story, and is now the most successful animation studio in the world. In a remarkable turn of events, Apple bought NeXT, I returned to Apple, and the technology we developed at NeXT is at the heart of Apple's current renaissance. And Laurene and I have a wonderful family together. 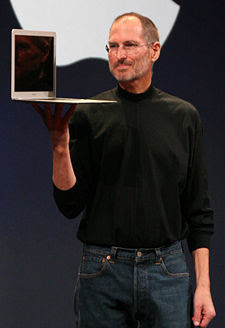 I'm pretty sure none of this would have happened if I hadn't been fired from Apple. It was awful tasting medicine, but I guess the patient needed it. Sometimes life hits you in the head with a brick. Don't lose faith. I'm convinced that the only thing that kept me going was that I loved what I did. You've got to find what you love. Again a great lesson: believe that whatever happened, it happened for good. Don’t lose faith. You've got to find what you love. And that is as true for your work as it is for your lovers. Your work is going to fill a large part of your life, and the only way to be truly satisfied is to do what you believe is great work. And the only way to do great work is to love what you do. If you haven't found it yet, keep looking. Don't settle. Whatever you do, you love it or do what you love to do. But give the hundred percent to it. Your work should at least satisfy you. "If you live each day as if it was your last, someday you'll most certainly be right." "If today were the last day of my life, would I want to do what I am about to do today?" And whenever the answer has been "No" for too many days in a row, I know I need to change something. When you think that you are going to die soon, you will not do the things that is not important. You will do only those which is important. That way you can save lot of time and energy for yourselves. Most of the time it will help you take better decisions. There is nothing to lose. Whatever you gained, you gained from here, whatever you lose, you lost here. You are not going to carry anything after death. So need not to worry that I’ll lose something. Again a great lesson from Bhagavad-Gita. No one wants to die. Even people who want to go to heaven don't want to die to get there. And yet death is the destination we all share. No one has ever escaped it. And that is as it should be, because Death is very likely the single best invention of Life. It is Life's change agent. It clears out the old to make way for the new. Right now the new is you, but someday not too long from now, you will gradually become the old and be cleared away. Nothing is permanent in this universe. Only permanent thing is change. Your time is limited, so don't waste it living someone else's life. Don't be trapped by dogma — which is living with the results of other people's thinking. Don't let the noise of others' opinions drown out your own inner voice. And most important, have the courage to follow your heart and intuition. They somehow already know what you truly want to become. Ours is a soul(i.e. Athma), it’s not independent. It’s connected with the super soul(i.e. Paramathma). As the supervisor assign work to it’s subordinates, Paramathma will tell what is the purpose of your life to your Athma. So Listen to your inner voice. If you think the title is bit harsh. I can't help it. That's what I feel after watching Slumdog Millionaire. The movie that is so overrated and hyped fails to keep the expectations. Apart from that it's a product of mean minded man called Danny Boyle. You can't even imagine putting 'Slumdog Millionaire' anywhere near 'Lagaan.' Eight Oscar Awards!!! I really doubt the integrity of Judges in Oscar. It's totally biased result. Just because it is directed by a white man it doesn't deserve Oscars. Finally nobody understands what Mr.Boyle wants to prove or show the world with this movie? The movie don't have a strong storyline. But making a good screenplay out of such weak storyline is a real challenge. And really it deserves Oscar for that. Even the film editing deserves one. I see nothing that makes this movie better than Lagaan which truly deserves Oscar for all the work. It's inspiring and strong storyline, Screenplay, Direction, Music, Lyrics, Songs, Acting. Apart from the fact that it's bit long narration, it's one of the historic film that deserves any award. But the people at Oscars think that even the crap directed by an Englishman is better than masterpiece directed by an Indian. Apart from that the poverty always sells well in western world. All those travelers who visit India takes photographs of slums and villages to show them in their country as real India. They are the one who ruined our resources and richness in every aspect,and now want to show the world that blunder they have done to India and laugh. They don't want to see the rich India and Intelligent Indians. They always want see India as poor country and land of snake charmers, and idiots. The Slumdog Millionaire is the product of one such cheap mentality. They have glorified the slums in Mumbai to prove their point. Don't worry Englishmen. We will come back. We will come back like phoenix. We will come back from all the mud and crap that you pour on us over hundreds of years. We will show you what India is and what an Indian can do? The mission is already started and just wait and see.